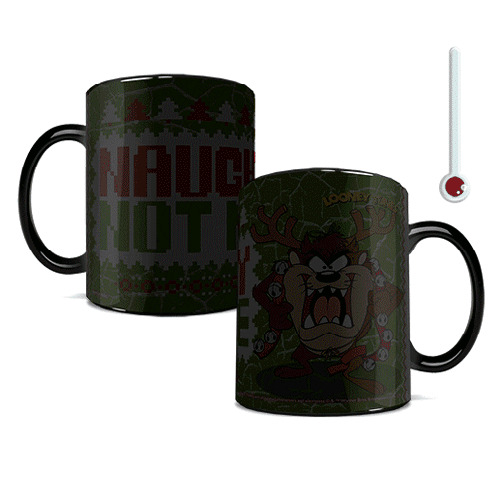 The Tasmanian Devil is on Santa's Naughty List… and on this amazing 11-ounce ceramic Looney Tunes Naughty Not Nice Morphing Mug that miraculously transforms from plain black to a full-color image of Taz and the words "Naughty Not Nice" when you add a hot liquid! Do not microwave. Hand wash only. Not dishwasher safe.